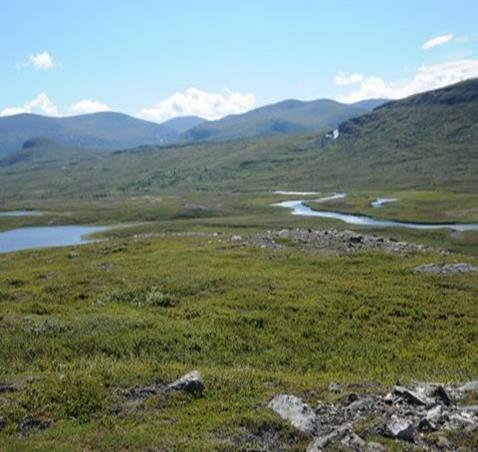 A circular walk, four sections, through the outstanding, glacial landscape of Jämtland, in Sweden central, near the border between Sweden and Norway. This hiking area is for a walker who doesn't opt for guaranteed good, warm, weather, a must! Silence, endless views, extensive unspoilt nature. 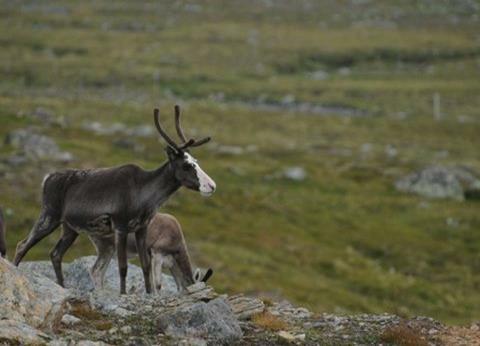 Possibly one of the last wilderness areas in Europe. Accommodation: the huts (cabins) on trail. 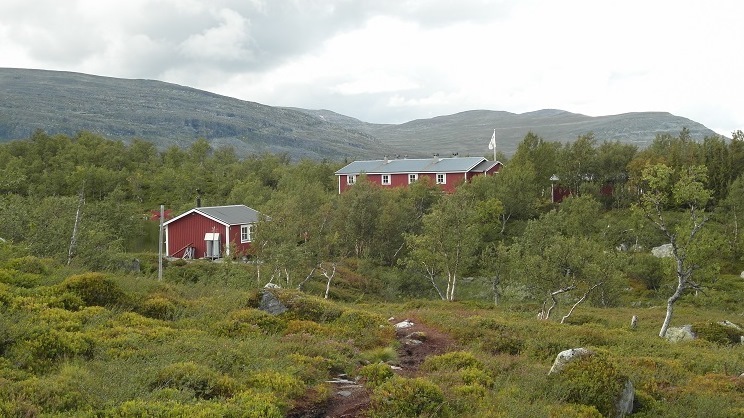 It is advisable to become a member of the Swedish Mountaineering Association, or the Svenska Turistföreningen, STF, - the Swedish Tourist Association - on your first stay in the hut of Ostra Väladälen. Maps: Lantmäteriets Fjällkarta, Z7, scale 1:100.000, Are Välädalen. Day 1: Ostra Väladälen - Välästugorna……………………………………………………….….20km. Ascending for about 500 m. The first hours, unavoidably, through a wooded area. Arriving at 800-900m., beyond the tree line, the views at the mountains, the lakes, the flora and fauna are breath-taking! At the end of the afternoon, after walking 3 km. per hour, you arrive at the second hut. pastas, mashed potatoes, canned meet. The huts are quiet, water from the well or river. Simple four person huts. Day 2: Välästugorna - Gäsen STF……………………………………………...………………...16km. The path is a little bit more difficult, but doable. You have to cross little, fast flowing, rivers. One of them is about 10m.wide. Depending on the weather, inquire at the hut how the conditions are. A gently rising path. Total walking time: about 7 hours. Day 3: Gäsen - Stensdalsstugorna (Stensdalen)………………………………...………..16km. An easy trail…..descending from about 1200m. to 800m. Because of a fire in 2011 they are rebuilding Stensdalsstugorna at this moment (2013).. Next year it will be ready.2019: it is! Day 4: Stensdalsstugorna - Ostra Väladälen..……………………………………….…….13 km. Descending through a wooded area. From about 800m.to 500m. Easy to walk. More on trail: crystal clear lakes, vast landscapes, fast flowing mountain creeks, the moose and many other species, special fauna………...the impressive silence……...as said: the total nothing. 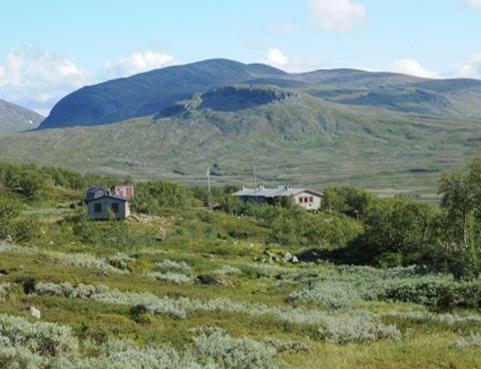 With 12 per cent of Sweden's land area, Jämtland County has only 1.5 per cent of the national population, and is among the least populated regions of Europe. 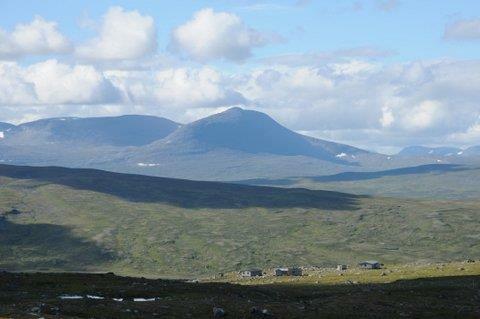 Klick here for another famous walk in Jämtland: the Jämtland Triangle !